I have small growing collection of Raspberry Pi2s and 3s to tinker with. ARM SoCs (System on Chips) are low powered yet very resourceful machines. I find these boards really neat to work on. I will show how to take a RPI3 and turn it into a wifi router. I chose the RPI3 over the RPI2 b/c the RPI3 has integrated wifi. The RPI2 needs a USB wifi dongle, which means it is competing with the ethernet port since USB and ethernet share the same system bus. The RPI3 has a separate bus for the integrated wifi which means better performance. Since I am big fan of Gentoo Linux I chose it as the OS for my router. The Gentoo Wiki has fantastic documentation and was a tremendous help in getting the router working. There is a quick start guide in the wiki that will get your SD card ready. I use a serial console to access the device. Now since the RPI3 has bluetooth there extra work needed to get console access via serial. This has been documented here. Gentoo needs the following. With these files in place you should be able to insert the SD card, connect the serial console to the GPIO pins and the OS should boot. # Please consult https://wiki.gentoo.org/wiki/Changing_the_CHOST_variable before changing. This should take a while since Gentoo compiling all the packages from source. Once this is completed you will need to install the linux-firmware package. This is done by typing emerge -av linux-firmware. Finally reboot. Then run ifconfig -a again to see if wlan0 is recognized. If not then download and install the latest brcm firmware files from the RPI github site. Once the the files are copied to /lib/firmware/brcm reload the kernel module again. The wlan0 interface should be recognized. mac_eth0 = "b8: 27: eb: 25: 89: 1e"
The first section sets the mac address of the interfaces. The RPI3 assigns a new mac address to the interfaces after every reboot. This first section will keep that from happening. The next section defines the wlan0 interface. The first line is what is needed to set wlan0 as an AP. The second line set the ip address of the interface. Before we activate the interfaces verify that the /etc/resolv.conf is not symlinked to the resolv.conf file found in /lib/systemd by typing ls -l /etc/resolv.conf. If this is the case then unlink the file by typing unlink /etc/resolv.conf. A simple dhcp server to use is dnsmasq. It is installed by entering emerge -av dnsmasq. When you install the package there is a default dnsmasq.conf file created in /etc. Make a backup of the file with mv /etc/dnsmasq.conf /etc/dnsmasq.conf.bak. Now create a blank config file with nano -w /etc/dnsmasq.conf and something similar to what is below. This will take care of both dhcp and dns setting for users who join the AP. AP configuration is controlled by hostapd. Installing the daemon is done by typing emerge -av hostapd. Like dnsmasq create a backup file for the /etc/hostapd/hosapd.conf file. Here is sample of the config file. If someone wants the RPI to have the ability to NAT and packet filter then iptables is the tool. It will allow through a series of rules to allow, block, NAT and host of other features that Gentoo has documentation on its iptables wiki, Security Handbook, and Home Router wiki. Iptables is very powerful so be careful when you are editing policies via ssh or you will kick yourself out. For the initial setup I would recommend doing it from the serial console and then testing your rules before saving. The first thing to do is clear iptables and the nat table before starting. This is done by doing the following. The first two commands clear the table and second two lists the table. Now that it is verified that the tables are flushed lets begin. We will is setup packet filtering then move on to NAT. Defining the default policy for the 3 chains that iptables uses is the first thing to do. These chains are INPUT, FORWARD, and OUTPUT. The INPUT chain controls what traffic is allowed to connect to your firewall. FORWARD controls what traffic you allow through the firewall. OUTPUT controls what traffic the firewall sends out. This is how you set this up. If you were doing this via the serial console then the first (which allows ssh traffic to the eth0 interface) rule could be entered later. However if you were editing your policy via shh coming in on the eth0 interface, then you need to add this rule before you lock down your policy. I set the INPUT and FORWARD policies to DROP and the OUTPUT policy to ACCEPT. This setting will mean that any connection that I want to allow to the firewall or through the firewall I need to define or else the firewall will drop it. However any connection the firewall sends out will be allowed. Now that the default policies are set we can set out access rules. These rules allows the wlan0 network (192.168.0.0/24) to pass through the firewall to anywhere. Now to access the public internet, the local network (192.168.0.0/24) needs to be hidden by the public ip address of your router/firewall (in this case eth0). This is done through a process call Network Address Translation (NAT). When an entire network is translated into one public address this is called Dynamic NAT or Hide NAT. The setup is pretty simple. The NAT table has two additional chains PREROUTING and POSTROUTING. PREROUTING defines how the router/firewall will nat the traffic before it makes it forwarding decision. POSTROUTING defines how the router/firewall will nat the traffic as its being forwarded out the device. Since a Hide NAT is for outbound traffic it is added to the POSTROUTING chain. Now just add your devices to the wifi network and you should have connectivity. If you want to see what devices are on your wifi network run the command iw dev wlan0 station dump. UPDATE I: I forgot to explain how to save your iptables changes so they will be persistent after reboots. UPDATE II: You will need to enable routing by adding the following lines to /etc/sysctl.conf then running the command sysctl -p.
Lubuntu 16.04 Alpha 2 is out with LXQT awesomeness! 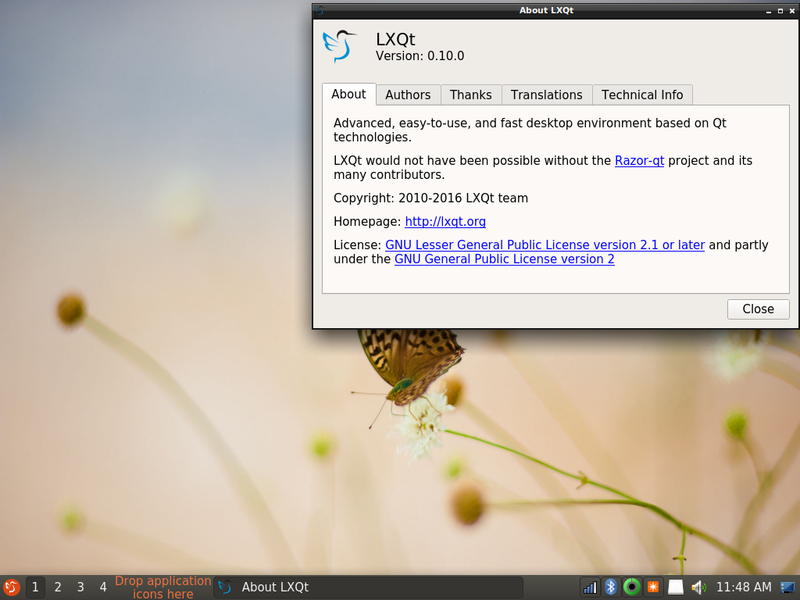 I have been wanting to test out LXQT for ages. So far it is not in the Debian repos for PowerPC. 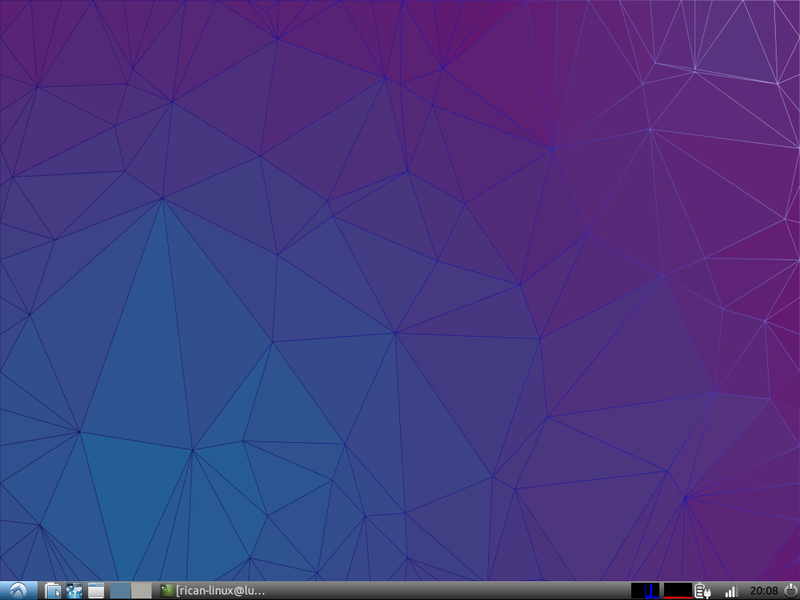 Thanks to the developers over at Lubuntu that time is now! So with the release for 16.04 Alpha 2 you too can have LXQT running on your PowerPC iBook or PowerBook. 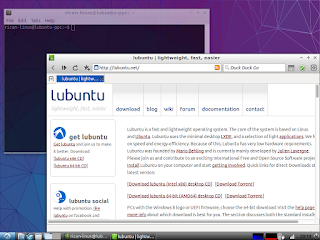 You can find the instructions here and a special thanks to Walter Lapchynski of the Lubuntu Team for using my screenshot. I will post some more below. 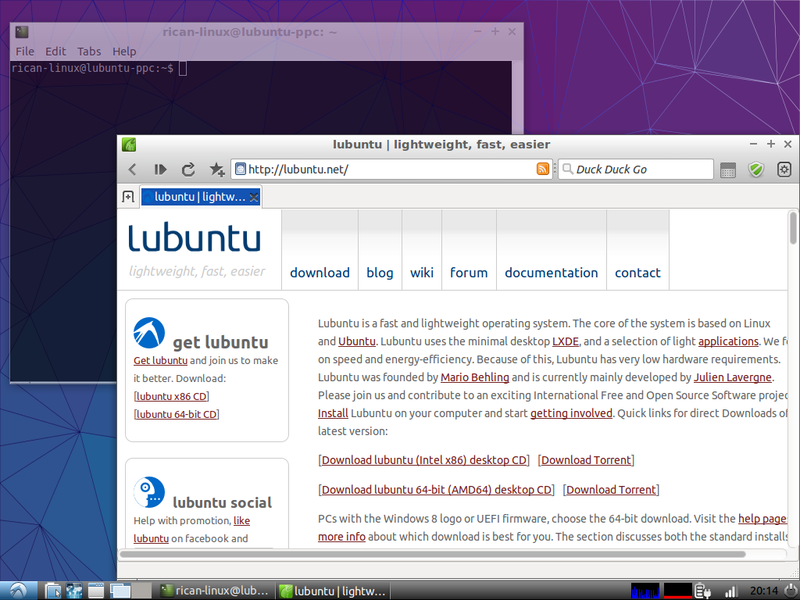 I really like the design of the DE plus Lubuntu has added more options to customize it as well. 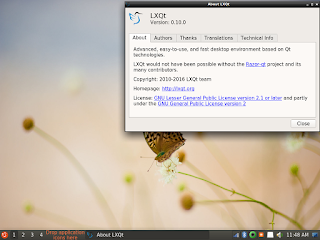 For example they added the LXQT Configuration Center. From there you can do things like edit your keyboard shortcuts. This is a nice change from editing files in vi. Also using compton just adds that nice compositing effect that make DE look even better. It is still buggy is some areas. The window to manage the panel does not always pop open, two finger scrolling with the trackpad does not work on the windows or Qupzilla. Video playback works but it still more resource heavy than Debian. However some of these should not be an issue if you running a Powermac. Please give Lubuntu a test drive and go to the QA ISO Tracker, from there run some of their tests and post your results. This is how we keep PowerPC supported under Linux. In my testing of Lubuntu and Ubuntu-MATE on my iBook G4 one things that I notice often is that when playing back video using mpv my overall CPU usage spike to the high 90s. The fan on my machine start spinning really loud and fast. I thought I would do a comparison of with Debian to see how they compare. Here are some of my findings. The fans not once came one and there only brief spikes to 80%-90% CPU usage. Even with the higher numbers due to XFCE being a heavier desktop than LXDE, video playback did not cause my fans to run. As much as I love Ubuntu based distros Debian is by far the better performer. I believe a lot of it is due how I set up Debian. When I installed the system I manually chose what applications and services were installed on my machine. 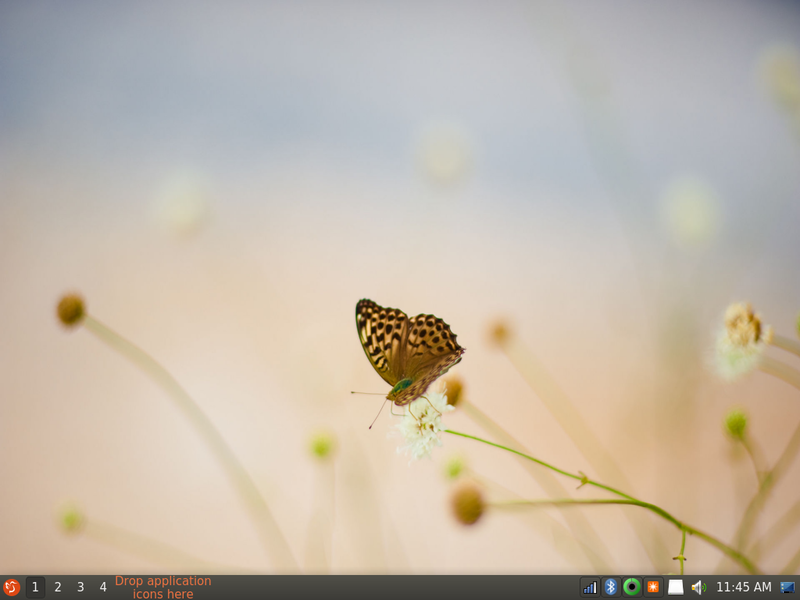 Ubuntu on the other hand chooses for you what comes with the desktop. The advantage to this is you get a compete working system pretty easily. The cost of this is have a performance hit. On newer machines this may not be a big deal but on older G3 and G4 PPC machines it is a great deal. You get no more than 2GB of RAM on some machines, and a single processor for the iBooks and PowerBooks. I would never say stop using Lubuntu or Ubuntu-MATE, however give Debian a try. Yes it will take some more work than Ubuntu, however the benefits of running it are great. Now that Wiley has been released, development for Ubuntu 16.04 (Xenial Xerus) has begun. Daily images have already been posted. Both Lubuntu and Ubuntu-MATE have PowerPC images ready for testing. People over at the UbuntuForums have alreasdy begun testing the new images. Also there was hope that the radeon r300 bug was fixed if you looked at the Mesa 11.0.3 release notes. Xenial as of now comes with the Mesa 11.0.4 package. So here are my initial thoughts. The install was pretty standard. There was nothing that stood out and to be honest this is a good thing. The installer should ask you the questions the app needs to build the system according to what you have requested. I noticed in Wiley that section the manages setting the timezone was broken and you needed to set the timezone after install. This has now been fixed. The desktop had a realy nice default look to it. 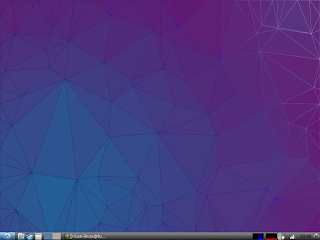 I made the panel dark using the Lubuntu-Dark theme. The panel apps I tried worked as well. I noticed in 14.04 that the weather panel app did not work. Now in 16.04 it is working. The system resource monitor worked as well. I like seeing the CPU and RAM usage plus the app launches lxtask when you click on it. A lot of the default apps that normall come with Lubuntu were not installed but this is something I expected since it is so early in development and there maybe changes as to what ships in the final release. Sadly eventhough Mesa has stated this bug to resolved it is not the case. You cannot get 3D acceleration with radeon r300 driver with a default depth of 24. Graphics rendering has been an issue for PowerPC since moving to KMS. It is not a show stopper in using Linux on PowerPC, but it is annoying. Firefox worked as expected. I install Midori, Qupzilla, Luakit, and Surf as well. Midori works great! It looks like even downloading files is working better. In the past there were times when that feature would crash. It is really good to see improvement there. Also uploading files is working as well. Luakit has gotten a little buggy. There were times when the browser crashed when I used it. It is something I have seen in 15.10 and I know there is an open bug report on it. Qupzilla has issues when trying to scroll down using the touch pad. Other than that it ran pretty well. Running Surf showed no issues that i could see. My first impression of Lubuntu 16.04 are pretty optimistic. I will be checking in on it when the Alpha and Beta releases come to see how the distro is doing under PowerPC. I have installed both Gentoo and Arch Linux in VMs and real hardware. 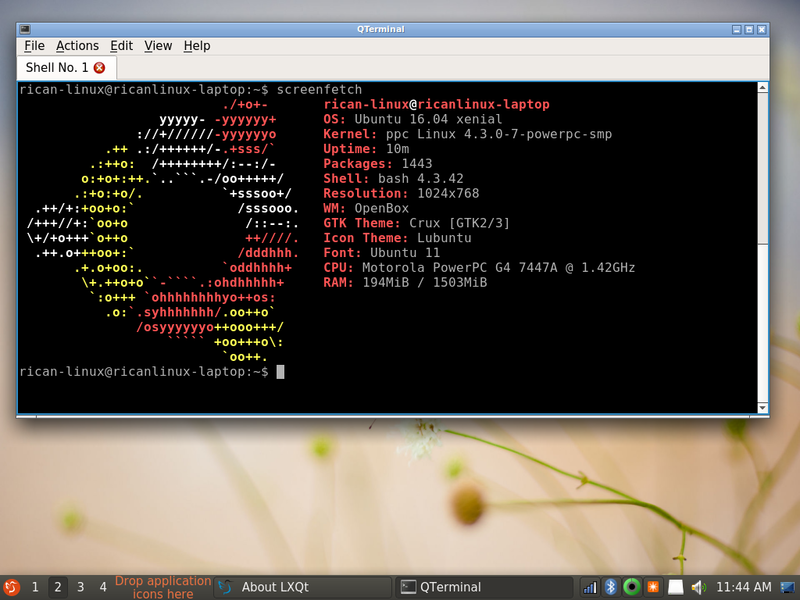 Both are the most customizable Linux distros I have worked on. You basically get a bash shell and build from there. However if you really want a customizable version of Linux that you can say you built then you should take the plunge and try Linux from Scratch. 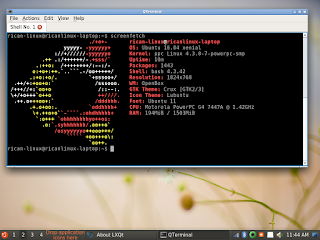 Linux from Scratch (LFS) is a version of Linux that is built completely from source. What you get from LFS is a document that walks you through how to build your system. I just finish the section where you build your temporary tool-chain that you will use the build the system. The instructions were great. So long as you follow them exactly you should be fine. I am right now building an x86_64 based system, however depending on how successful I am I may try to build a PowerPC version on my iBook G4. I will be adding posts as I work through LFS. Document both the success and issues that may arise.